Are you looking for unique and creative kid’s bathroom ideas? If you are then these great bathroom design ideas will certainly help you out! 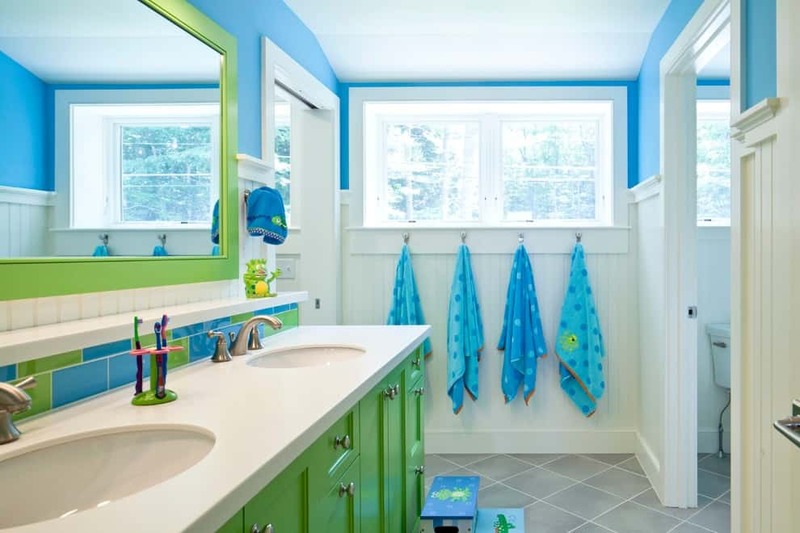 The “in” thing in bathroom design especially for kids is all about super bright and happy colors, fun but functional bathroom fixtures, and most of all, safety for your precious little ones. A theme is inclusive of the entire bathroom design from the color scheme to the accessories. If you have a theme, then you can focus on a central design and filter any of your design decisions and purchases based on the theme. There are so many themes for a kid’s bathroom that you can easily become overwhelmed. When thinking of a cool creative theme for your child’s bathroom, you can check out interior decorating sites (like this one) or you can also check out interior decorating magazines and books. Your theme should carry through from shower curtains, wall art, rugs and mats, towels, rags, and toys. You can color coordinate or have a central theme like nature theme, jungle theme, musical theme, flower garden theme and so on. When you’re turning an old bathroom into a bathroom for your kids, here are some theme tips to use to on your adventure. 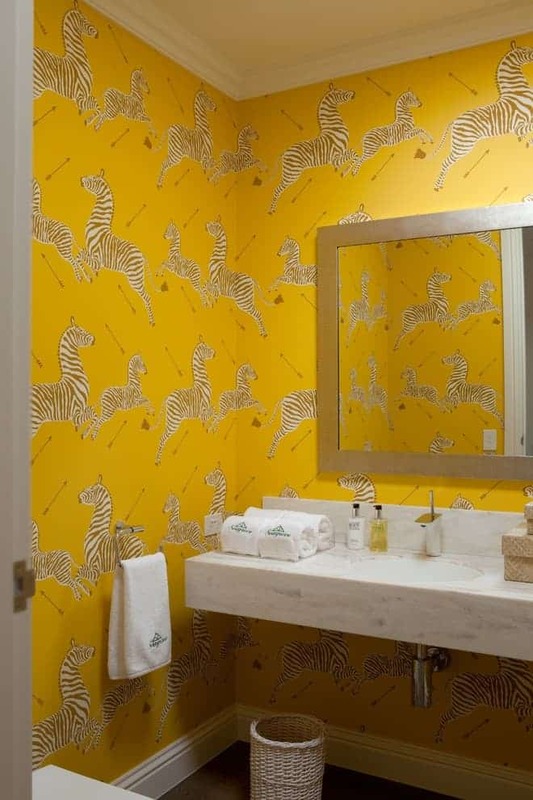 Your theme could depend on your child’s tastes, after all this is their bathroom. It could be something that your child wants, likes, or watches on TV . Unless your child is too young to decide on their own, you can take your child to a big-box home store or to a department store to get some supplies. Of course, be there to guide your child in their choices. Aside from consulting an interior decorator for your new theme design, you could also create your own. Simply take a piece of paper, write down what comes into mind or you can draw some pictures. Sit and brainstorm with your child. You will find that this is a fun and creative activity to do. 3. Think small and accessible! 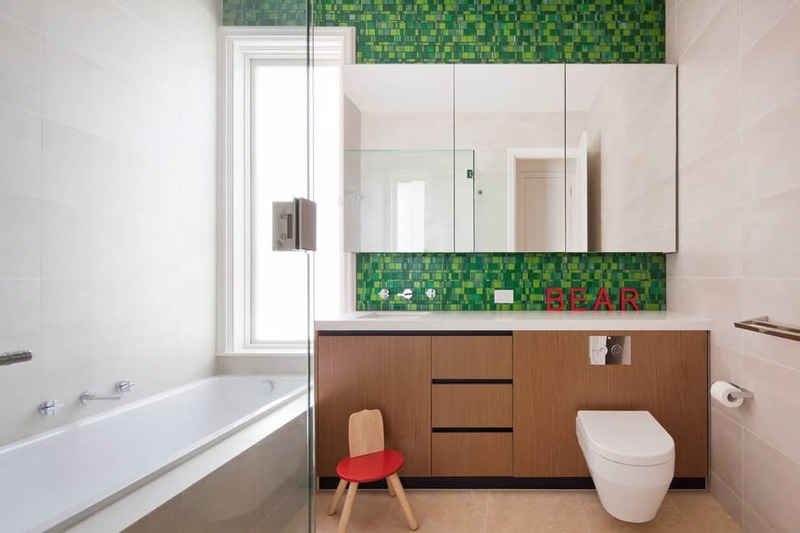 When coming up with a creative concept for your child’s bathroom, you will find that most bath and toilet elements are there but should be specially constructed for your child’s ease of use. For instance the toilet seats should be smaller. The sinks should be shorter and shallower. Mirrors should be easily accessible and storage elements should be accessible even for users with little hands. You can find great ideas for bathroom themes by watching your child’s favorite shows. You can also check out what your child’s favorite story book characters are. You will find that there are numerous ideas for bathroom themes when you search from books, movies, television shows and cartoon shows. You can base the bathroom’s theme on characters or places in the story or plot. Buy a Kid’s Bathroom Set. What the heck is a bathroom set anyway? 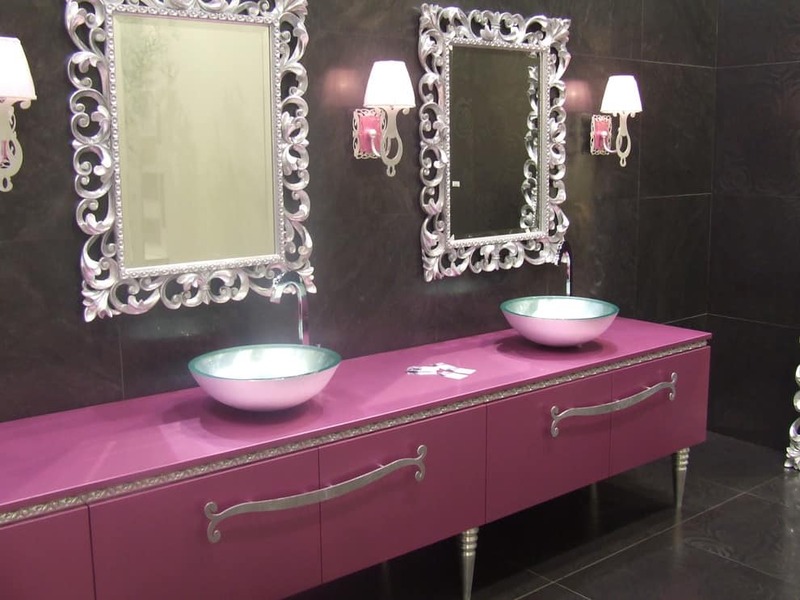 A bathroom set is a collection of bathroom items that are made to match. A bathroom set is usually composed of items such as a toilet seat, a sink, a small vanity, and other bathroom accessories. Buying a bathroom set makes it easier on yourself, so you don’t have to hunt around for matching items. All of the items in your set will match. Bathroom sets may be composed of all sorts of rugs. 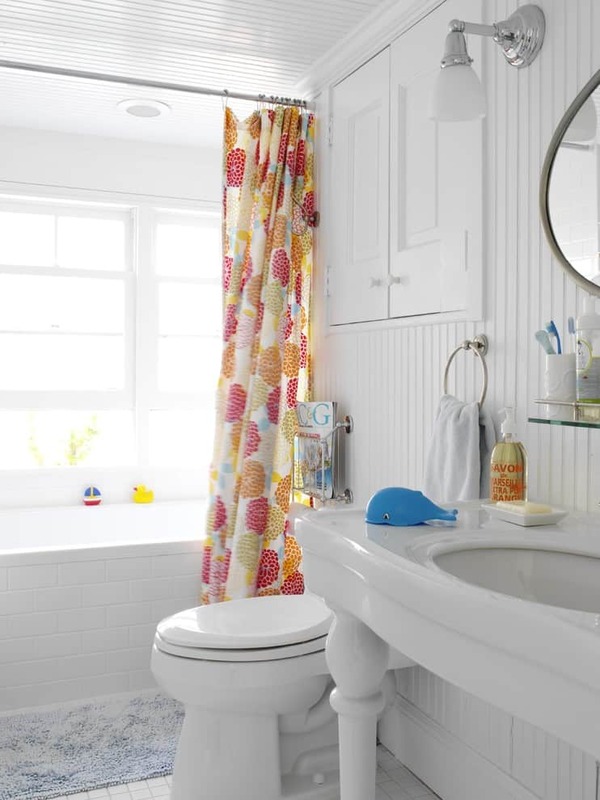 Bathrooms that are specially meant for kids should be adequately accessorized with different kinds of rugs: area rugs, rugs around the toilet, rugs near the shower area and rugs placed around the sink or vanity area. Latest designs include large animal prints, under the sea motifs, flower garden designs and many more. Bathroom sets that include toothbrush holders, soap dishes, soap and shampoo dispensers, lotion holders and caddies look great in your kids’ bathroom. You can choose sets according to your child’s favorite color, favorite cartoon character, favorite motif or design. The latest designs include cute animals, bright colors, creative designs and fun motifs. Kids usually need to have their own bathroom accessories. 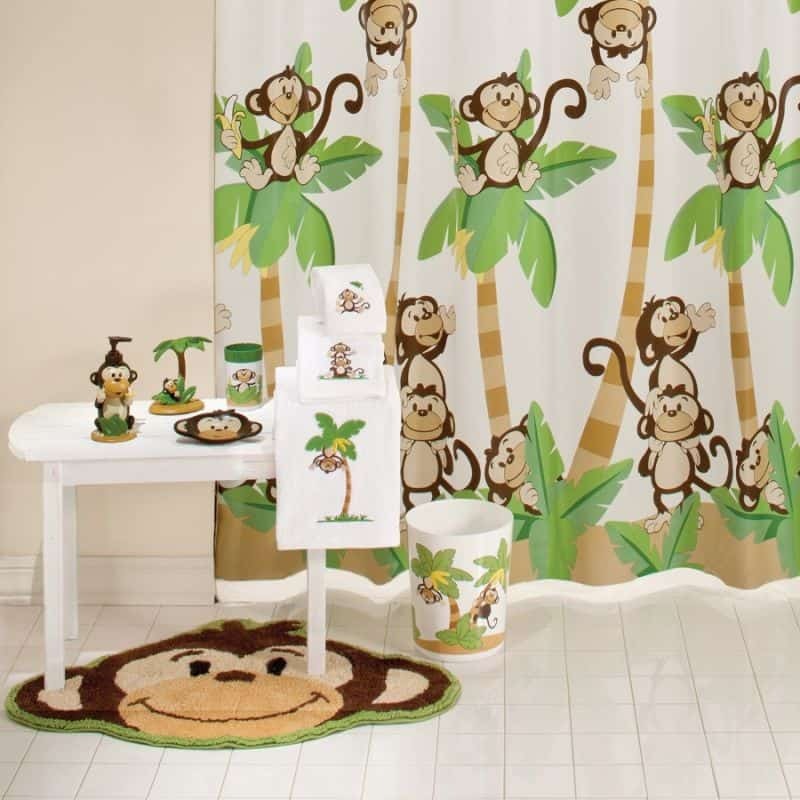 You can find bathroom sets that have matching color, design, prints and characters. No matter what your child loves, what color they like or cartoon characters they love, you will absolutely find bathroom sets for them. It does not matter how old or how young your child is, there is a bathroom set that will surely match their style. Ask you child to show you what they want or what they would like for their bathroom. 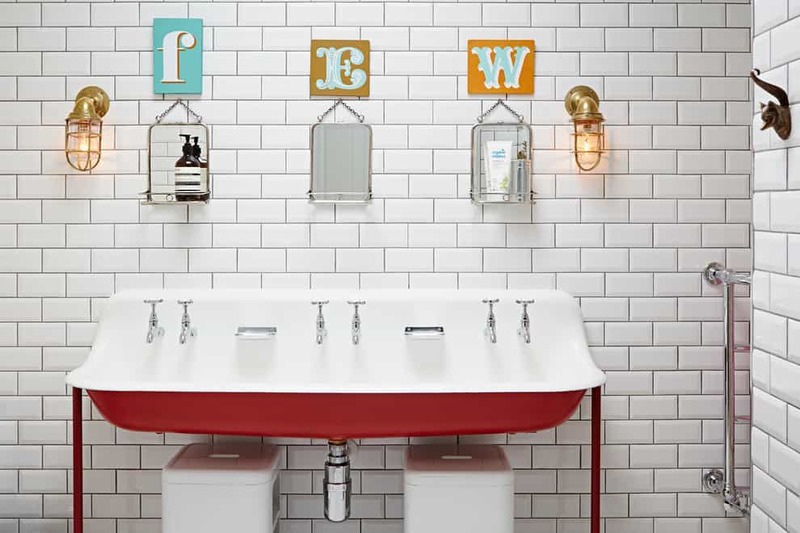 You will find that your little one may have more clever and creative bathroom designs than you could ever think of! Tiles with colorful designs, fun under the sea characters, and lively patterns are perfect for children’s bathrooms. 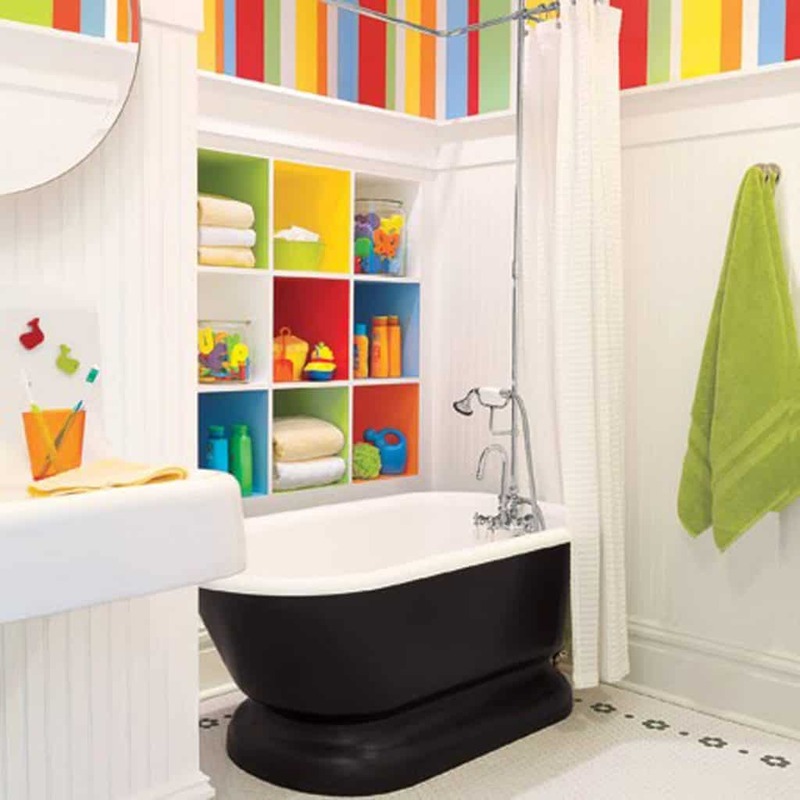 Bright and colorful tiles make the bathroom more fun and very accommodating especially for little kids. 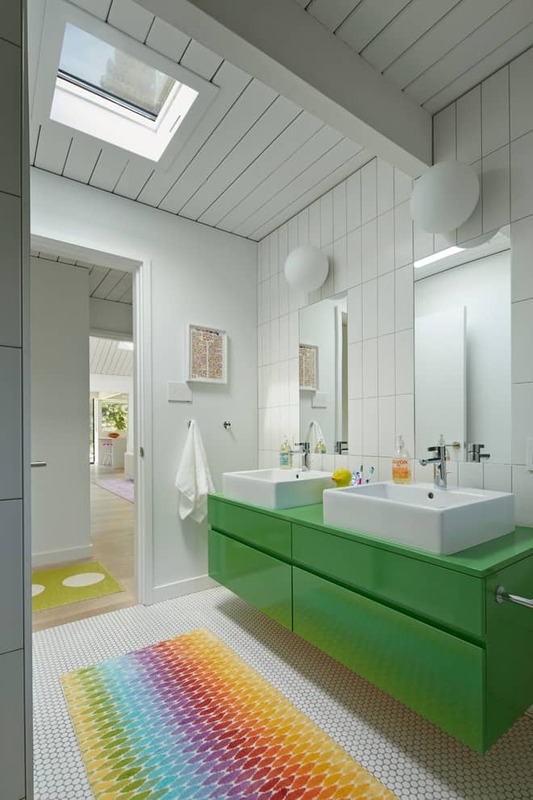 Small children that are just learning to use the bathroom for the first time will feel less anxious when they see cute, colorful and bright tiles as opposed to cold and unappealing white ceramic tiles. And what’s even better? Tiles that won’t easily chip or crack, which is a option safe for little kids. For more bathroom tile ideas, click here. It’s natural for kids to be messy at times with clothes and towels left behind as they use the bathroom. But you can make this better by making things easier for their little hands. There are great storage ideas like cute but functional clothes hampers, bathroom drawers and cabinets with colorful and functional handles, large towel racks and many more. 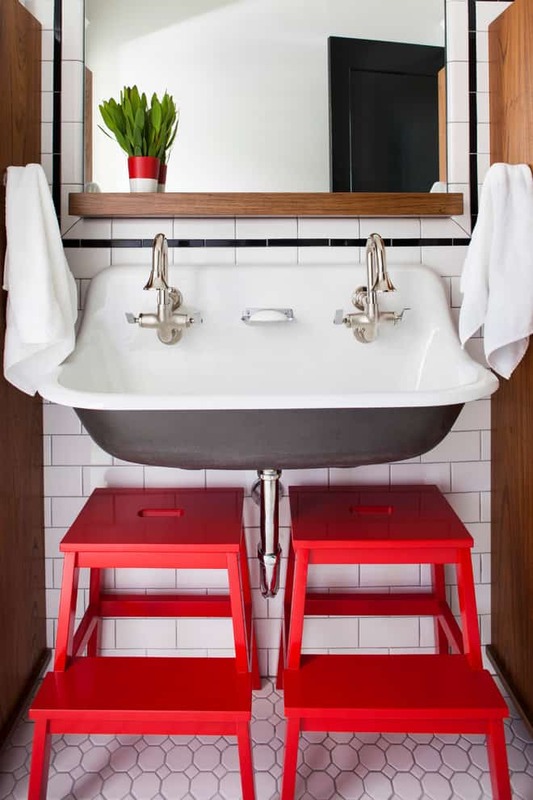 You can reinvent your old bathroom storage elements to make them child-friendly and colorful. Paint your old, adult looking vanities, drawers and cabinets with new, colorful paint, bright wall colors, cute and colorful drawer knobs and fun wall decor. You don’t have to spend too much on all these renovations, yes you can be a cheapskate, just pay for the paint, a few cabinet knobs and you got a new bathroom fit for your little one! And guaranteed your little one is going to destroy your new bathroom anyway, so going cheap is the way to go. A kid’s bathroom will never be a kid’s bathroom without the cute and adorable accessories specially made for little hands. Everything should be colorful, bright and if you can find decor that matches your child’s personality then this would be great! What is truly attractive in a kid’s bathroom are specially-themed towels and robes that match the bathroom decor. Go and get some bright colored bathroom towels, robes and carpets! Kid’s bathroom accessories usually include of toothbrush holders, fun and crazy mirrors, colorful shower curtains, bright and colorful mats and carpets, towel holders and hooks with cartoon characters. Something risky you can try is to let your kids decide what they like best. You will be surprised as to how many ideas they will be able to come up with! Does your daughter love under the sea adventures, sea creatures, manatees and whales? If they do then she will adore towels, robes and even cozy bathroom slippers with a special under the sea theme. Does your son like football? You can get a football themed bathrobe and towel that looks just like a football playing field! Don’t forget to match your bathroom decor, carpets, curtains, wall color and storage elements with the same football theme! Again, you do not have to spend so much on these simple decorations at all. Mats and rugs are very important kids bathroom accessories. They are needed to protect your child from slipping and falling over wet floors. No matter what kind of bathroom tile flooring you have, rugs and mats will provide safety and security for your child. You can find mats and rugs in all different colors, sizes, and shapes. A kid’s bathroom needs a vanity/cabinet with a sink where your child can wash their face and hands, brush teeth, and get dressed. The vanity will usually hold bathroom accessories like toothbrush holders, cups, soap dishes, soap dispensers, lotion and shampoo dispensers. Your kids will also love to have small dishes where they can put the junk… I mean valuables from their pockets. And of course, vanities will never be vanities without a mirror. There are so many kinds of mirrors fit for a child’s vanity. Large, colorful and creative mirrors or small to medium-sized mirrors in different colors, designs, and prints. Bathroom decor sets like wall and window accessories make great additions to a child’s bathroom. Wall and window accessories include colorful window mosaics, colorful cathedral window-like designs for glass windows and so many more. No matter what your child’s favorite color or character is, you can find wall and window accessories to match what they like. There are Spiderman, Ninja Turtle, and Hello Kitty window/wall decals to name a few. Kids love to play in the bathroom, but bath time is never a fun time without bath toys. Parent be aware: it is not your place to decide what bath toys would be perfect for your child. Take your child shopping for bath toys that will suit their taste. There are a lot of toys to choose from actually… as opposed to the two bath toys that were available when I was a kid :). Your child’s imagination in collaboration with your extremely wise guidance are the keys to looking for the best bath toys. When it comes to toys, let them choose whatever they want – sell your car if you have to, to make them happy and love you forever! Keep your kid’s bathroom safe! Parents should never overlook safety in any bathroom design. Try some non-slip mats near shower areas or small step stools to help kids reach the vanity mirror. 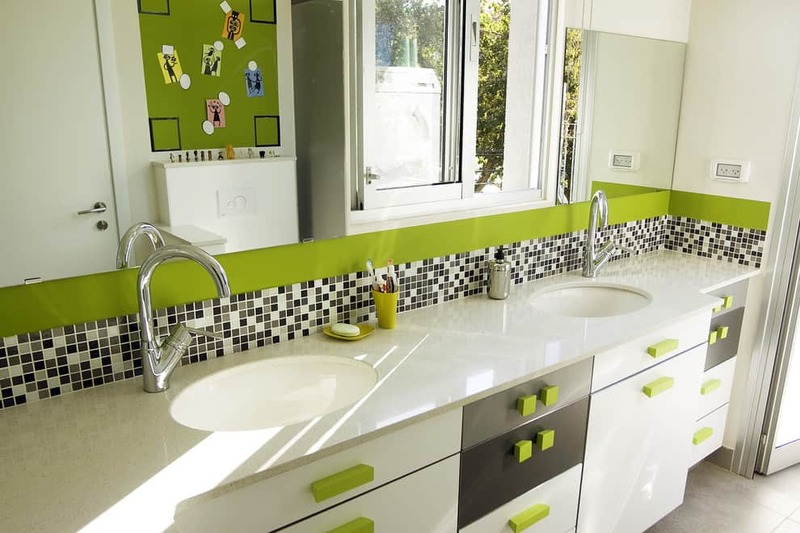 These ideas will not just make your kids’ bathroom more functional and fun, but safe as well. Your little man will love to use this bathroom specially made for him alone. 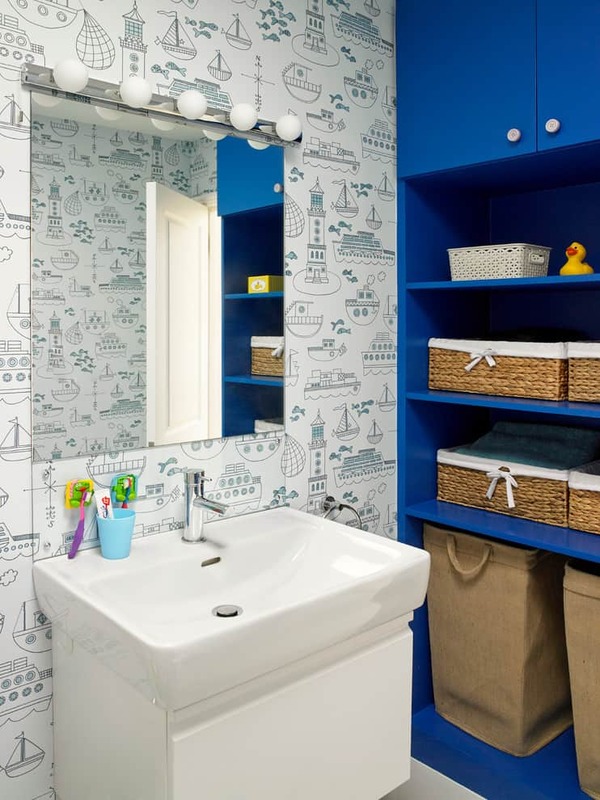 Nautical blue walls as well as accessories will make his bathroom a stand-out! Having two daughters could be demanding especially when each one loves to dress up! Two vanity mirrors and two sinks will solve the problem! Pay special attention to colors that are naturally amazing to the eyes plus the vanity area that seems to float from the tiled floor. 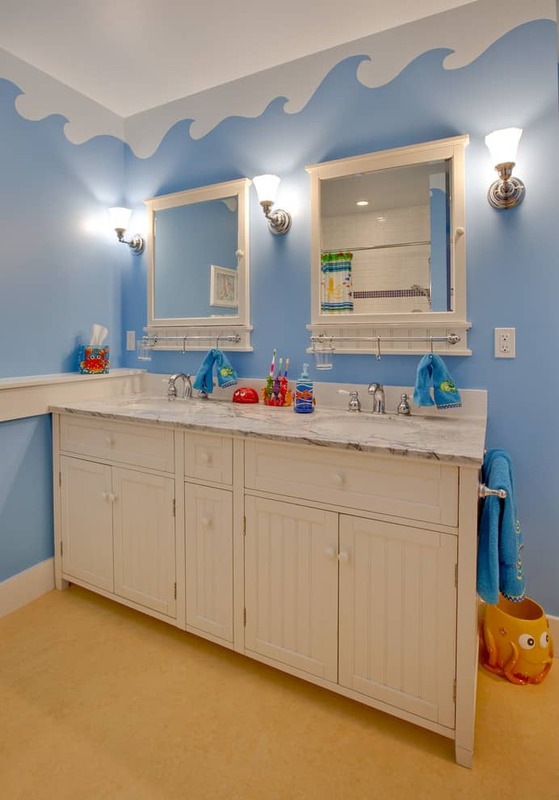 Kid’s love the beach, an aquarium and anything else to do with water, and this amazing bathroom idea could make for a perfect boys or girls bathroom. There are only two words for this bathroom idea: simple and perfect! Your little girl will absolutely love to use this simple, functional and colorful bathroom everyday! 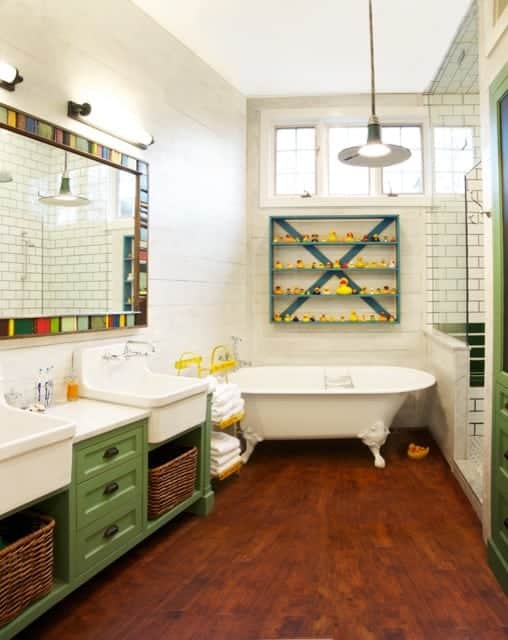 This bathroom looks like a renovated old bathroom and has been made to be functional and easy to use by kids. The small bath tub and the low bathroom sink and easy to open and close faucets make this bath really perfect for kids. 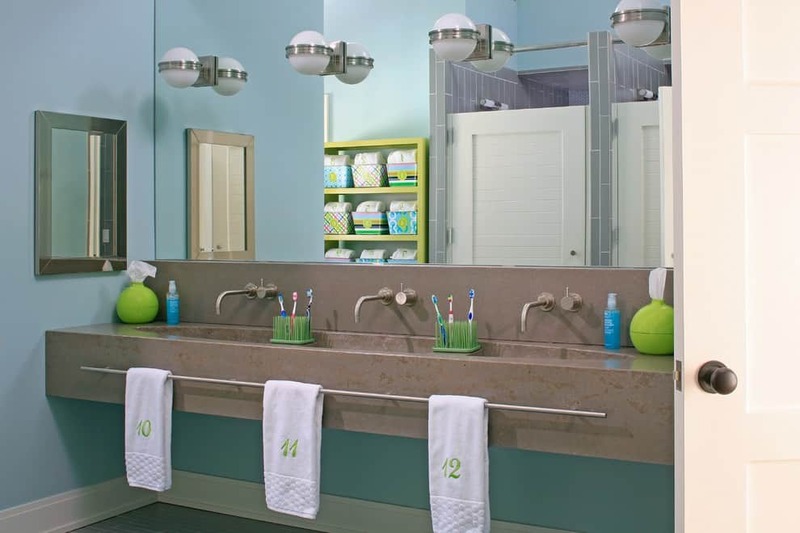 By adding color like this amazingly green vanity and colorful mat, welcomes your child to an otherwise cold bathroom. Sometimes adding a few accessories may be the only thing you need to do like this fun and colorful shower curtain and a few bath toys! 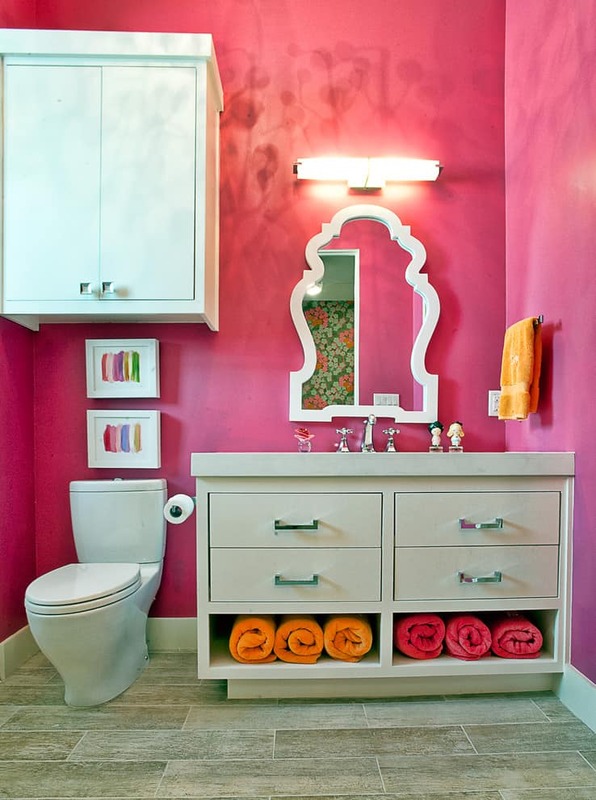 This is a funky bathroom that will fit a little girl or a teen’s room. The wall color plus the colorful accessories bring out the personality in this adorable room. This bathroom would be great idea for a little girl or boy that loves animals and nature. The more color the more fun! 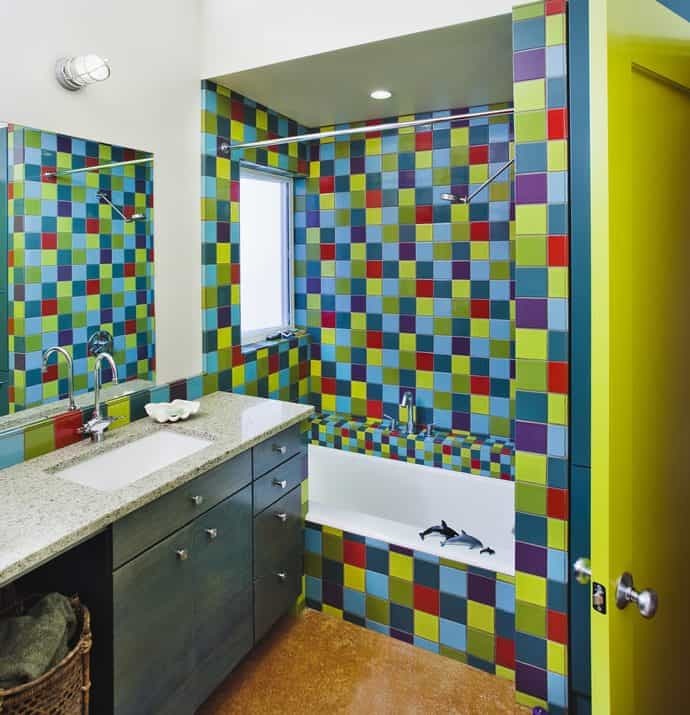 This bathroom is a splash of color on the right places! Plus lots of colorful storage! Make your bathroom child-friendly by adding a few accessories that can help your child as she uses the vanity or takes a shower. 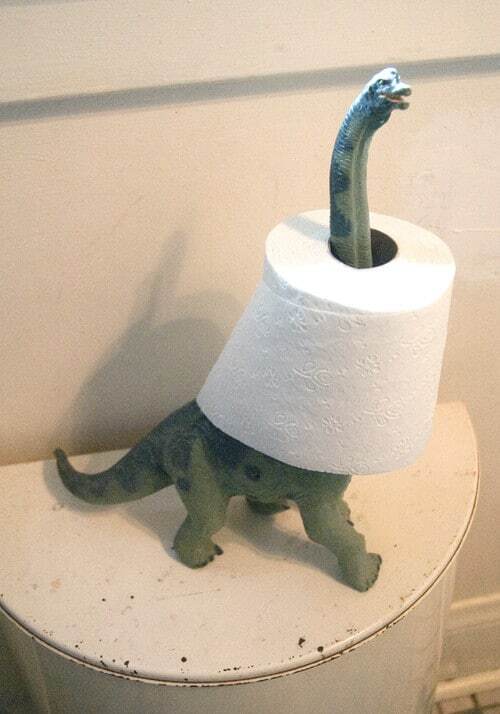 Using a toy dinosaur as a toilet paper holder? What an this amazing idea! See how creative you can get? Kids will be kids! Make little kids enjoy the bathroom by placing cool accessories and toys that they love to play in the bath or in the shower. Adding accessories like this foot stool will not just make the bath kid-friendly but also makes it look adorable and fun. 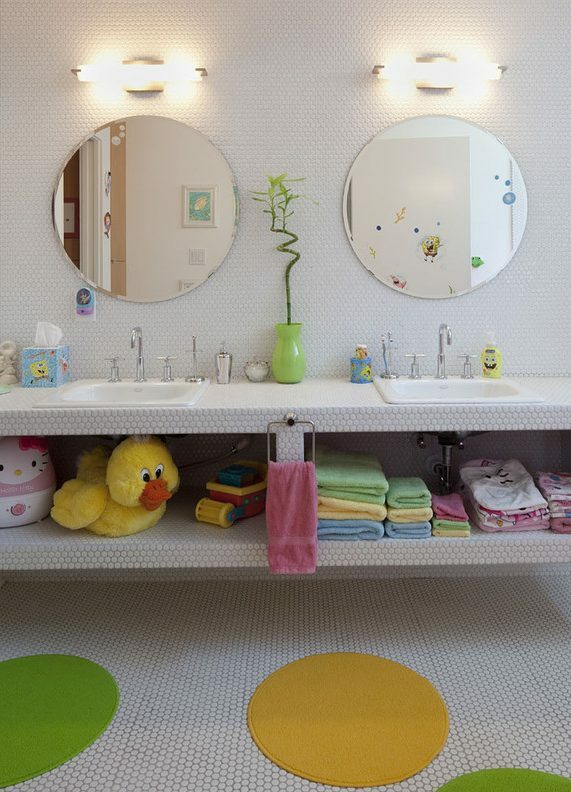 Again, cute accessories add personality to a kids’ bathroom. The secret is to let your child choose whatever accessories he wants for his bath. You will be surprised how decorating this room would be. An interior decorator is someone that can help you with your decorating needs and oftentimes decorators have a certain specialty like bathrooms, bedrooms, kitchens or living rooms. An experienced interior decorator will be able to provide the best decorating ideas but could get really expensive. Decorators can provide information about the ideal materials, the safest materials and techniques for kids bathrooms and so on. Slideshow of all 100+ Photos. I created an Idea Book of all 100+ inspirational kid’s bathroom photos. Scroll the slideshow below to view them and click a photo to view larger over at Houzz. You can bet that contractors have a lot of experience in the best and the safest materials. They will also get your project done with special attention to local building codes. They can offer recommendations that you may not have even thought of. They can also raise red flags if something that you want can’t be done or will cost a lot. There are a lot of tips that you can get from hardware store employees, from the most updated and popular accessories, to the safest materials and the most efficient ones. When it comes to materials and accessories, they should also be easy to clean since kids love to make a messes. Cleaning up will be easier when you have accessories and bathroom furniture that may be easily cleaned. 4. What does your child want? Possibly the person that holds the most insight when looking for kid bathroom ideas is your child, after all this is their bathroom. What wall colors interest them most? What design they would like to have? What accessories would like to place in their own bathroom? Do they want a cartoon character or a comic book character to be the main theme for the bathroom? Let your child help you with ideas by taking him shopping for materials, accessories and supplies. You will find that this is a very effective idea since your child will surely love the way your project comes out. Try not to guide your child in their choice of materials and accessories, but be sure to check that the materials they choose are safe, affordable, and efficient to use. I hope you enjoy this post. I had a ton of fun looking at all the kid bathroom ideas. If you have any more ideas, please leave a comment! Really, I got so much fun and pleasure while reading this post with images. 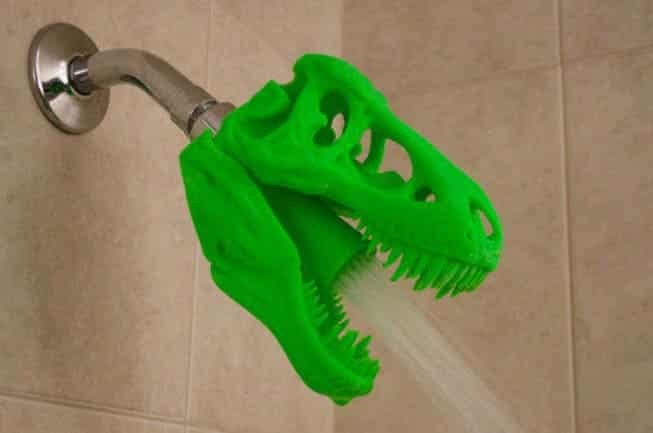 I also have a blog and there you will able to get the best bathroom accessory ideas including kids bathroom accessories. 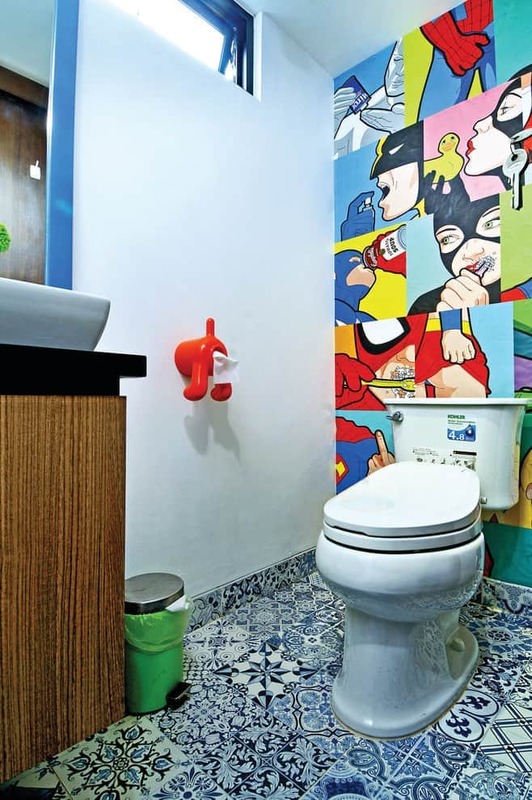 Actually kids love colorful walls and cartoons at the bathroom. Toy toothbrush, shoes, jelly toothpaste, cartoon shaped mirror and so on they are demanding. You must be a child lover and hopefully your ideas will heat the parents to renovate their bathroom with the perfect accessories. Wow! what a great way to bath. While some of these would be downright impossible to clean, they’re all cool in their own way. Bathroom decoration is the important point which can give new looks to your bathroom. Generally, kids are very childish nature, and they don’t like bath. But if you decorate the bathroom based on the kid’s psychology then can enjoy it. This also feels fun. 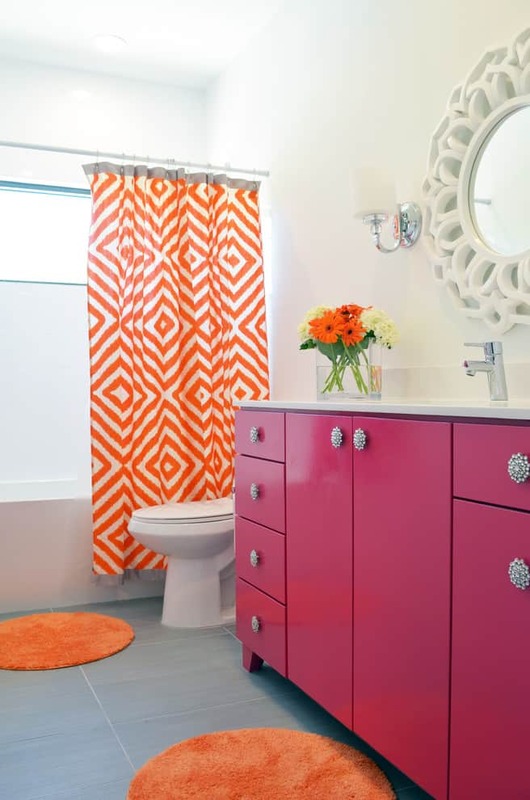 You should renovate the bathroom in a colorful way. In the wall of the bathroom, you can paint animal pictures so that they feel happy. In your blog, you really give the best bathroom idea and that’s really benefited.